In the case of drunk driving, the court may rule an arrest improper if it was based on a field sobriety test that was improperly administered or one that had inaccurate results. 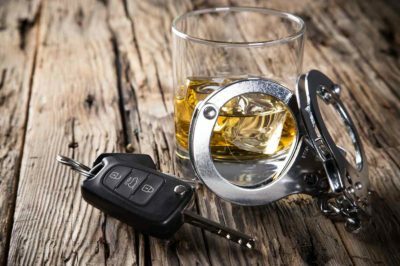 If the police officer failed to adhere to the standard protocols when conducting field sobriety tests, a DUI defense lawyer might be able to have your case dismissed. For example, if the officer interacted with you in an disrespectful or intimidating manner, they may not have been following the proper protocol. In addition, field sobriety test observations are not the only proof of intoxication. So, if you were required to perform a heel-toe test while wearing inappropriate footwear or in inclement weather, your DUI defense lawyer can argue that the field sobriety test had inaccurate results. When you are facing charges, a DUI defense attorney from Boise DUI Guy can help. A DUI defense attorney may challenge just how the breathalyzer test was administered at the scene. For example, they may question whether or not the officer was properly trained or if there were intervening factors which might include health problems like vomiting or indigestion. Breathalyzers calculate your blood-alcohol level based on how the level of alcohol in your breath relates to your deep lung air according to the Blood Breath Partition Ratio (1200mL of breath has the same amount of alcohol as 1mL of blood). As such, the sample taken from the breathalyzer is assumed to be from deep lung air. However, the sample could come from the stomach, mouth or throat. Medical conditions like acid reflux can push the content of your stomach up towards your esophagus to produce “mouth alcohol,” and the same applies if you have recently vomited. This could lead to a false reading. A police officer is not allowed to pull you over arbitrarily and they must have a “reasonable suspicion” that you were committing a traffic violation. For example, weaving within your lane does not justify a traffic stop. If the officer cannot prove that they had a good reason for pulling you over in the first place, it is possible that your DUI case will be dismissed. So, if you were obeying the speed limit, not swerving outside of your lane and your vehicle is in good working order (for example, you do not have a malfunctioning tail light), then your DUI defense lawyer can state that the officer did not have a reasonable suspicion to pull you over. This would mean that any evidence gained after that could be deemed inadmissible. When you are taken back to the police station and administered another DUI test, you may have a result that is over the legal limit in Boise, Idaho, but your breathalyzer reading at the scene was less than 0.08%. This is because it takes 50 minutes for alcohol to absorb into your bloodstream fully, and it may result in inconsistencies in test results. In situations like this, your case may be dismissed because only the blood-alcohol level that was determined while you were driving counts for DUI purposes. Your DUI defense lawyer will know all of these tactics already. The Boise DUI Guy is experienced in defending drivers who have been charged with DUIs and will work diligently to ensure that your case is dismissed so that you can avoid the steep penalties that come along with being charged with impaired driving.